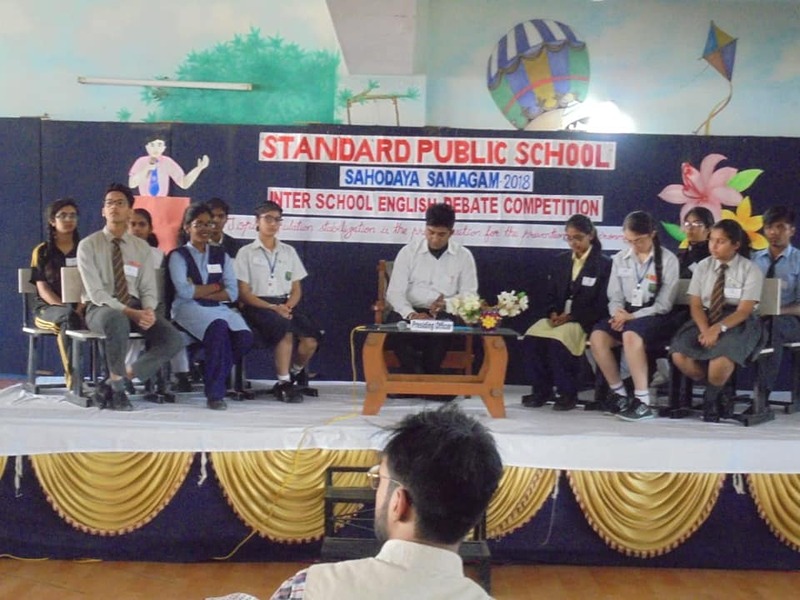 An Inter school English debate competition was organised by standard public school, Indore under the banner of Sahodaya Samagam Cluster III on a very vibrant environmental issue that is “Population stabilization is a pre requisition for the prevention of environment”.Total 11 teams took part in above said competition. 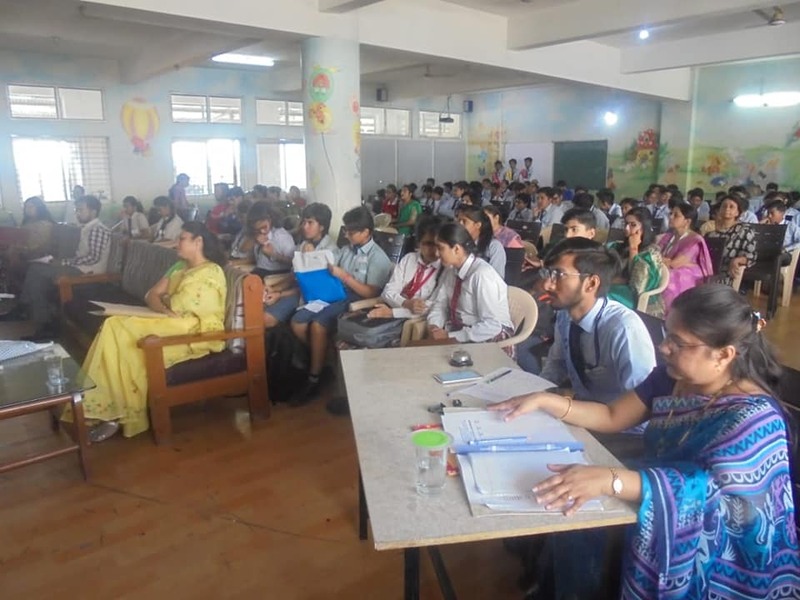 The judgement of the competition was done on the basis of language, debating skills and facts and figures. Following schools secured best performance award:- In FOR the motion category first position secured by colonels Academy School. Second position Choithram School Manik Bagh and third position The Millennium School Indore. In AGAINST the motion category first position secured by sica School nipania second position was secured by Mata Gujri Girls School Indore and third position secured by Sri Sri Ravi Shankar vidya mandir Indore. The judgement was done by three eminent and prominent personalities of Indore. Mr. Rakesh Singh Bhadoria and advocate by profession currently practicing at the high court of indore. 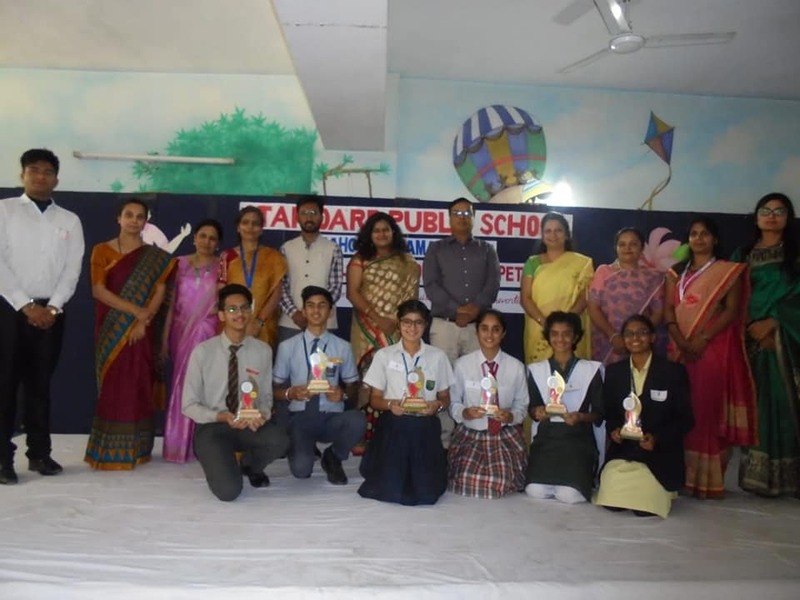 Miss Nikita Okhade, an International debater of Devi Ahilya Vishwavidyalaya, Indore Mrs Moumita Chatterjee, Vice Principal of standard Public School, Indore.